The Richmond Art Gallery is delighted to announce that Canadian artist Evan Lee has produced a limited edition archival pigment print to benefit the Gallery. Lee’s work will be the subject of a solo exhibition, Evan Lee: Elders and Roots, at the Gallery from April 26 – June 15, 2014. Evan Lee is known for his experimental photo-based work but also works across a range of media and subjects. The exhibition, guest curated by Bill Jeffries, will include images from the series Ginseng Root Studies, as well as a series of pencil drawings of elderly Chinese women and the video Manual Labour. The Ginseng Roots Studies were made using an ordinary desktop scanner instead of a camera. The ginseng root is a renowned and prized Chinese medicinal plant. It is revered for its medicinal properties, its high monetary value and also its anthropomorphic qualities. 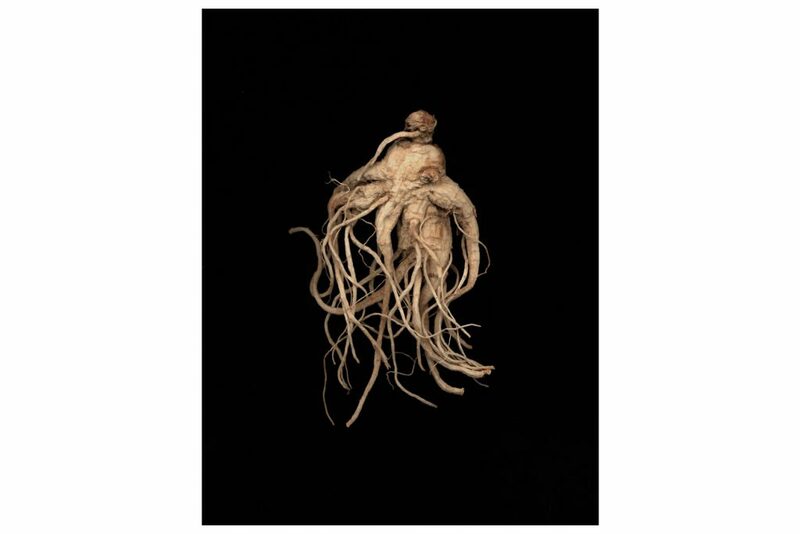 Ginseng’s resemblance to the human form is celebrated in Chinese folklore. Lee’s artwork has been exhibited nationally and internationally in Vancouver, Montreal, Charlottetown, and Shanghai. Recent exhibitions include On the Nature of Things at the Kamloops Art Gallery; Again and Again and Again and In Dialogue with Carr at the Vancouver Art Gallery; Triumphant Carrot: the Persistence of Still Life and Playing Homage at the Contemporary Art Gallery. Evan Lee is represented by Monte Clark Gallery, Vancouver.